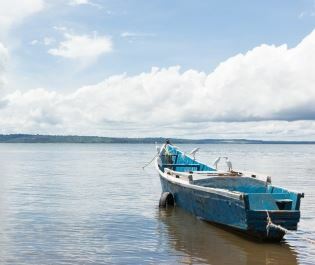 Jinja’s location is glorious, wrapped around the waters of both the River Nile and Lake Victoria. There’s an iconicity to being here, especially when taking a photo at the Source of the Nile. 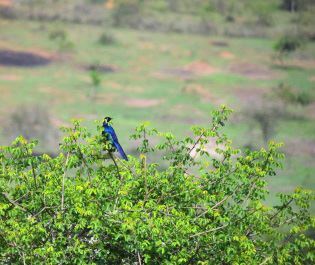 And there’s a supreme beauty as you’re surrounded by Uganda’s natural legends. Jinja is full of incredible landscapes. 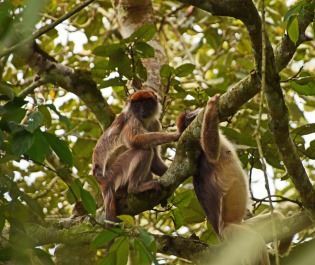 Luxuriant rainforest rises on islands in the mighty Nile, while thick swathes of plantations and riverine forest cover the banks. The earth is a rustic red, a colour that never fails to leave an imprint on our memories, and our shoes. Jinja is dominated by postcard panoramas and we love how you can combine natural splendour with a traditional African atmosphere. An area full of adrenaline. Jinja is less than two hours drive from capital city Kampala, so it’s easy to add a couple of relaxing days into a longer Uganda holiday. Yet the Nile has always been a source of excitement and Jinja is home to the best white-water rafting in Africa. It’s a thrilling stretch of class IV and V rapids; we’ve never made it through without at least one of us falling out, or the entire raft flipping. The unblemished safety record might encourage you to push your boundaries. But there is plenty of relaxing activities too. Other activities maximise the impressions of nature. Horse ride through the rainforest, or along a peninsula jutting into Lake Victoria. Go on wild hikes, explore coffee plantations, and try a number of other water sports. Uganda is a very authentic country and Jinja also provides an insight into a typical market town. Enthusiastic smiles and vibrant shouts welcome you at the markets, where all the locals seem to be competing to be the most colourfully dressed. It’s an easy and exciting insight into what Uganda is all about. 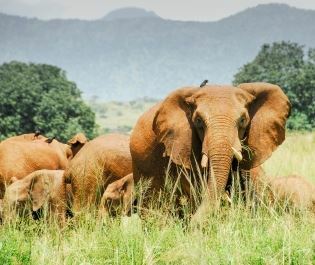 Yet arguably the premier reason to visit Jinja is Wildwaters Lodge. 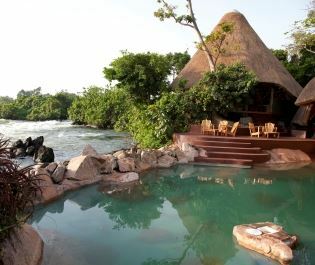 Situated on a private island amidst the roaring rapids, this is one of our favourites in the whole of East Africa. You’re completely enveloped by the charms of both the river and the rainforest. 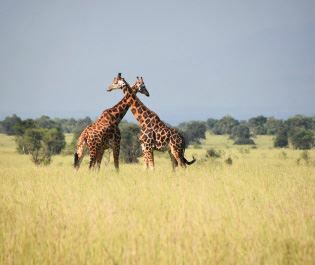 We can’t think of many more beautiful places to start or end an East Africa adventure. Amidst Jinja's luscious rainforest lies WildWaters lodge, a rustic lodge with wonderful views of the river Nile's rumbling rapids. Queen Elizabeth is incredibly charming, from the majestic lion that climb into the trees, to the tropical birds that swoop over your head. 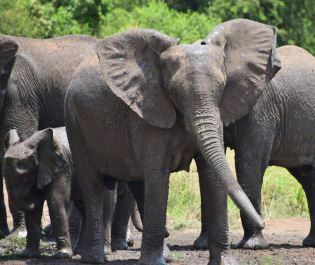 Some of our best river safaris have been close by to Murchison Falls. From the cascading water to the magnificent wildlife that graze nearby, this area is simply alluring. Some of our greatest memories were from when we ventured off the beaten track, and this incredible savannah is as intimate as you can get. 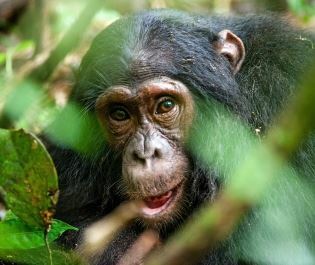 Meeting a chimpanzee amidst Semuliki's forest is a moment you'll never forget, and perfect for those looking for a remote trek through unspoilt wilderness. Kibale will be sure to dazzle you. 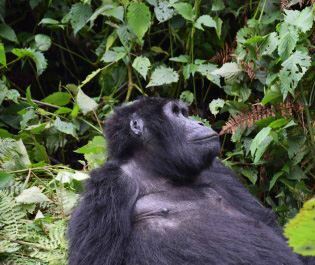 With inquisitive monkeys and chimpanzees swinging through the trees, this is the perfect complement to a Bwindi gorilla trek.